A1 Sam's Kennel & Run: The A1 Sam's Kennel & Run is an apex run and kennel which is suitable for a wide range of animals, especially dogs. A run and kennel is the ideal way to keep your pet protected and warm when you're not in the house and still wish to allow them outside access for exercise. 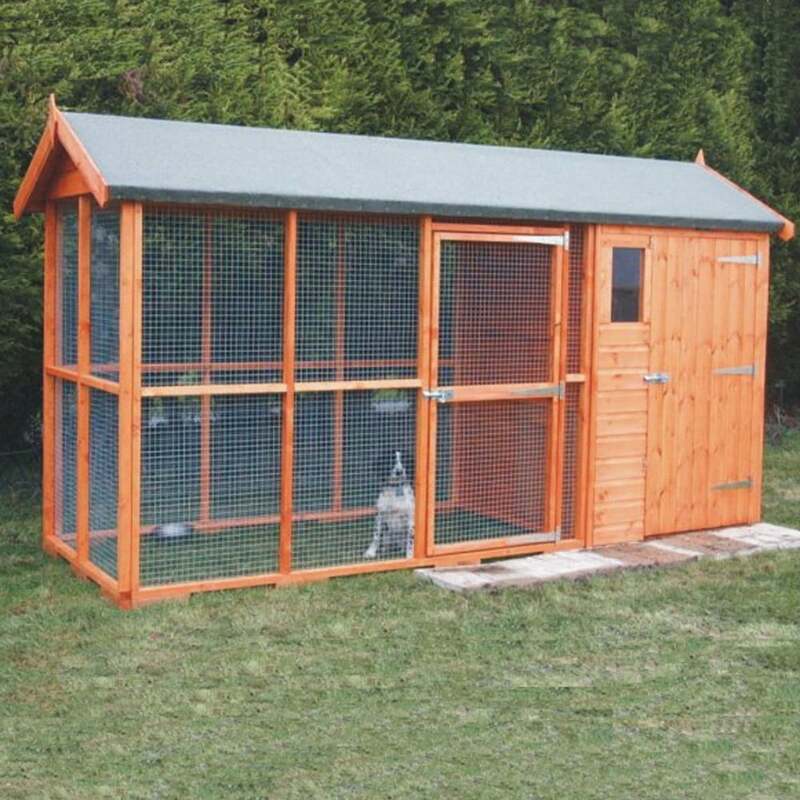 This run and kennel is made from sturdy beams of FCS approved timber and sheltered with an apex roof. The roof is finished with the included shed felt, or you can upgrade to the optional extra heavy duty shed felt. The wire mesh is included and will keep your pet contained in the run whilst still giving it clear view and access to fresh air. The run comes in different sizes, and it is recommended to purchase the biggest size for your budget so your animal has as much space as possible.